By Jason Davis – WASHINGTON DC (Oct 20, 2017) US Soccer Players - You can almost hear the strings swell and the drums boom. Decision Day is nearly upon us. Major League Soccer’s branding for the final day of the regular season works on most levels. Decisions are coming based on the results of the round of games all happening on Sunday at 4pm ET. The timing of the slate of matches is intentional and not merely a quick of the schedule. The league has learned that not only do simultaneous kickoffs make for the most drama, it's also the fairest way to play on the regular season’s final night. As is sometimes the case, most of the actual spots in the postseason are already spoken for heading into Sunday. Eleven teams are already in, with just one spot in the Western Conference still in doubt. Naturally, that’s where any discussion of drama should start. There are three teams with a chance of getting in out West: San Jose, FC Dallas, and Real Salt Lake. As of the moment, San Jose holds the sixth spot. They're tied on points with FC Dallas and have a single-point lead on RSL. The Quakes hold their fate in their hands. A win against Minnesota United at Avaya Stadium and they’re in the postseason for the first time since their Supporters' Shield win in 2012. Getting in with a draw or a loss means results involving FC Dallas and RSL need to go their way. FC Dallas hosts the Galaxy, by virtue of the standings the “easiest” game among the trio of contenders. Oscar Pareja’s club has been in freefall for the better part of three months, with just one win since July and a paltry nine total points over the same span. Last time out, FC Dallas capitulated in Seattle despite needing a single point to put them in a position to control their own playoff destiny on the final day of the season. The positives for Dallas are small, but could prove the difference. They’ve lost just twice at home this season. While Galaxy players will be fighting for the right to return next year, ultimately LA has nothing to play for. FC Dallas gets in with a win and a San Jose draw or loss, or with a draw if both San Jose and RSL lose. Working against Dallas is the first tiebreaker. If they end up level on points with both San Jose and RSL, they’ll miss the playoffs due to having fewer wins. Mike Petke’s RSL teams comes upon their final match looking to complete a job that looked nearly impossible a few months ago. As MLS hit July, Real Salt Lake was foundering near the bottom of the Western Conference standings. When the roster finally got healthy and spate of international absences came to an end, the club put together a run that turned the playoffs into a reachable goal. 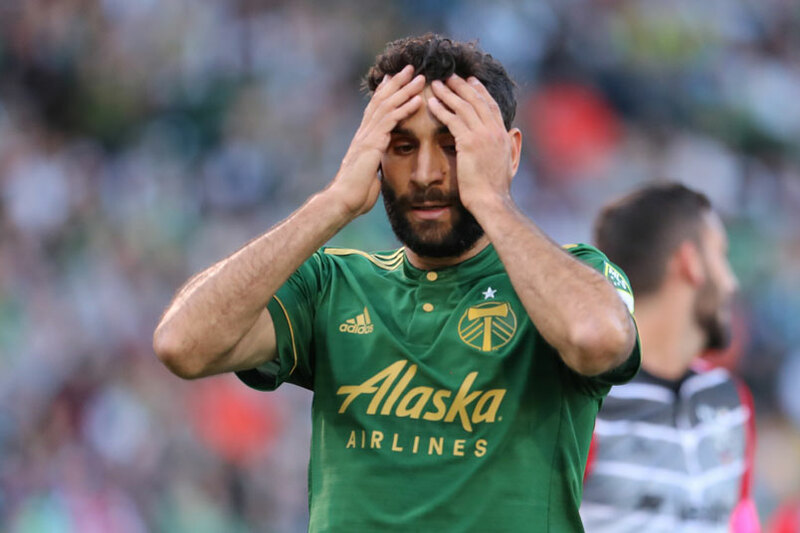 Last week’s 1-0 loss in Colorado in game that saw DP striker Yura Movsisyan rooted to the bench with his team in need of a goal means that a win against Sporting Kansas City is probably necessary to get them in. There’s a scenario where Petke’s team can get in with a draw, but it requires both FC Dallas and San Jose to lose. RSL has by far the toughest matchup of the three teams vying for the last spot in the West. Sporting will arrive in Utah looking to improve their seed and possibly earn a bye into the conference semifinals. The desperation of teams not yet locked into a playoff spot is a level beyond. There will also be drama playing out in the battle for seeding in both conferences. Only Toronto FC’s seed is set in stone, meaning there’s intrigue in several other games on the schedule. In the East, a showdown between Columbus and NYCFC will help decide who gets a bye into the conference semifinals. NYCFC has the inside track, but Columbus can leapfrog the them and two other teams with a win and beneficial results elsewhere. The Crew are dealing with the news that the club could move, while NYCFC will be hosting the game in the unfamiliar confines of Citi Field in Queens. NYCFC got some good news ahead of the game. The league rescinded Jack Harrison’s red card from the loss to New England last weekend. The West’s seeding situation is a bit more complicated than the East. Three teams are eying the top spot with four teams capable of claiming a first round bye. Most of the focus will be on a Cascadia clash between Vancouver and Portland. The Whitecaps whiffed on a chance to lock down the number one seed last weekend. Now, they have the difficult task of getting a positive result in Portland standing between them and first place. Portland can pip Vancouver to the one seed with a win, assured of a first round bye with a draw. Among the other questions in play on Decision Day are two big ones. Can Atlanta get a home game in front of their big crowd? Will Seattle jump one of their Cascadia rivals to get a bye and set themselves up for a chance to repeat? This is still a league that's all about the playoffs. That doesn't take away from the MLS version of last day drama, at least not as much. There are simultaneously developing story lines across eleven games all happening at once. It’s the kind of afternoon that deserves a soundtrack.